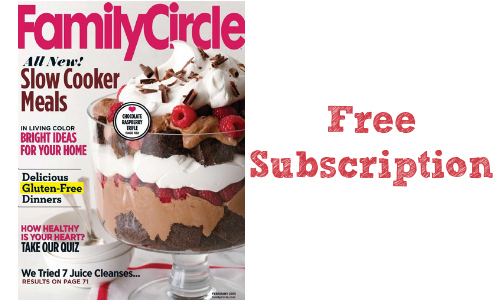 Right now you can get a FREE one-year subscription to Family Circle magazine. To get this deal, you’ll answer a few short questions; they won’t ask for a credit card and you won’t receive a bill. These offers usually don’t last long, so grab your subscription while it’s available.